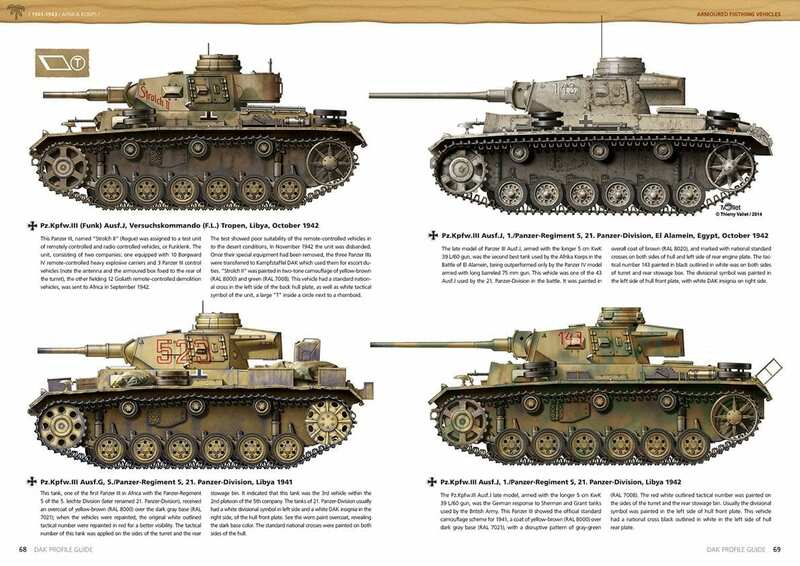 This book shows the original German camouflage of vehicles used by the Deutsche Afrika Korps, with color variants throughout the war. 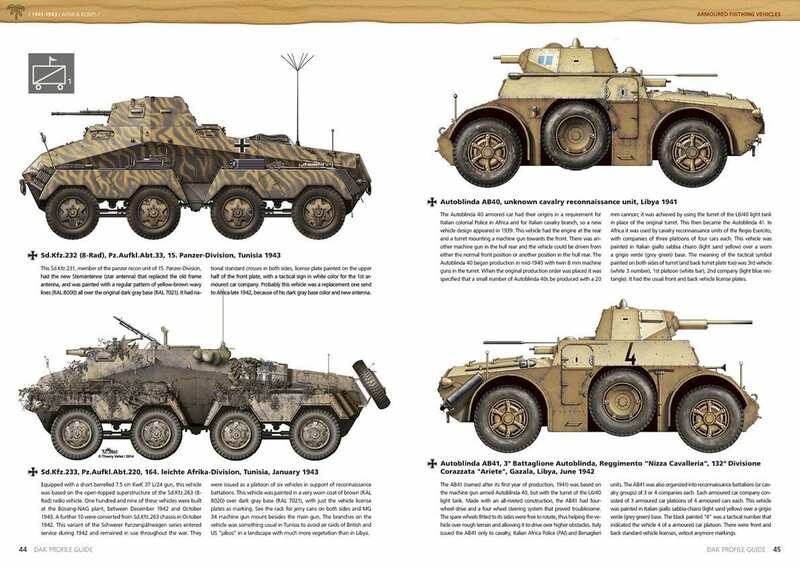 We look at German Army vehicle colours for the African campaign, including the European Dark Gray (RAL 7021) in which they arrived to Libya. This continues through to the initial camouflage colours, Yellow-Brown RAL 8000 with Green-Gray spots RAL 7008 (in 1941), and the Yellow-Brown RAL 8020 and Sand Gray RAL 7027, used from1942. We also include a selection of Italian vehicles, often forgotten, which fought alongside the Germans against the Allies from 1941 to1943. This is supplemented by the addition of allied vehicles serving with the Axis troops, with some curious American halftracks with distinctive German markings. 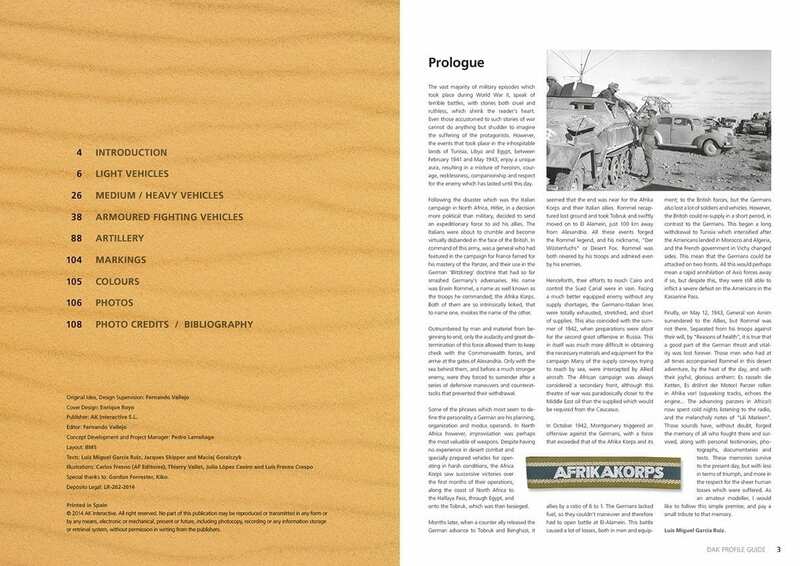 Over 170 profiles cover schemes from the most common camouflage to the most originals and unusuals vehicles used by the DAK and Regio Esercito, including major artillery pieces used in Africa, highlighting above all the powerful 88 mm Flak 18/36/37. Through the 108 pages of thisbook, the modeler will find inspiration for next African modelling projects.